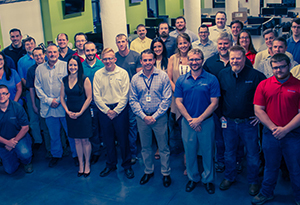 We value people and relationships, which is why we have become Microsoft Gold Partner, Microsoft Authorized Education Partner, Dell EMC Gold Partner, VMware Enterprise Partner, Mitel Enterprise Partner, Avaya Certified Partner, SMART Technologies Silver Partner, Extreme Networks Silver Partner, SonicWALL Certified Partner and Dell EMC’s number one re-seller and system integrator in West Virginia. Because Advantage Technology have over 80 technicians, they can specialize in emerging areas of information technology and have dedicated resources to specific disciplines, rather than merely being computer generalists. Their focus and innovation enable them to support over 800 companies and continue to expand into cutting edge areas of information technology. Our focus is to provide IT solutions that are both cutting edge and affordable. We leverage our IT experience to help grow businesses and make them successful with a long term focus. No matter your IT needs, from telecommunications to full data center implementation, we can help.